There is no tour on July 31st!!! The post about the garden tour was for LAST year - sorry for the confusion! The NHS Meet the Board tour this year is on Sunday, August 13th, 2017. Join NHS for more info! It's happening! The 5th annual Normandy Park Garden Festival will be held on Saturday, July 9th from 11-3 in the Galicic garden. 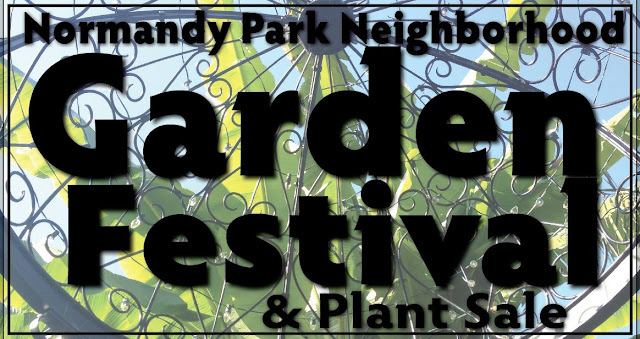 Stop by and tour the gardens & plant sale all while nibbling on a crowd-sourced lunch way better than what you would probably be eating otherwise. We scaled things down a bit this year with no garden talk, but everything else is firing on all cylindars! Free as always. Hope to see you there! Note: If you're going to be driving here, please park on the WEST side of the street (our friendly neighborhood officer loves to ticket law-breaking savages who park on the sidewalk). You can also park at Marvista Park and follow the ample signage to the festival from there. For questions, please contact Justin Galicic at jgalicic@gmail.com. See you there!